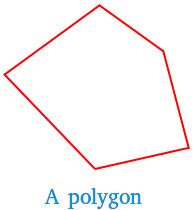 What is a polygon ? Definition and examples. A polygon is a closed plane figure with at least three sides that are segments. Furthermore, the sides must intersect at their endpoints and no adjacent sides are collinear. The following plane figure is not a polygon since the plane figure is not closed. 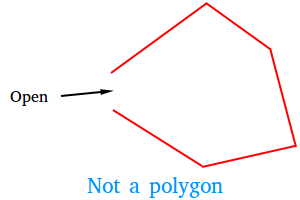 The following plane figure is not a polygon either since two sides intersect between endpoints. 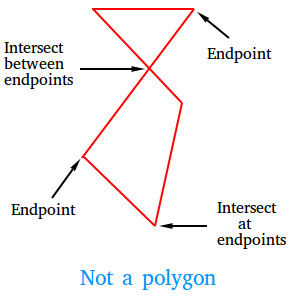 Basically, segments cannot intersect at points other than their endpoints. A segment cannot intersect more than two other segments either. of shapes that can be classified as polygons.